Our 8” Stiff Hand Scrub Brush has been designed for hands-on cleaning and promises to deliver exceptional performance at every use. 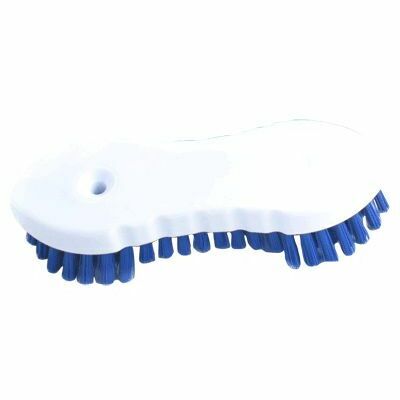 Ergonomically designed for easy grip and comfortable extended use, this hand brush features blue bristles chosen for their rigid structure and ability to shift stubborn dirt. Ideal for scrubbing floors where hard-to-shift stains are rife, this hand held brush gives you the freedom to isolate areas that require additional care and attention. Suitable for use with any hard surface liquid cleaner and an ideal addition to your hygiene routine, this scrub brush is available in cases of 100 for economical, bulk purchase. For your cleaning needs, Gompels also stock a wide variety of different Brooms for all your sweeping needs.